He is the son of the wind, the epitome of devotion and the guardian of love. He is our protector, our saviour and the heart that lays its faith in him has no room for fear… He is Hanuman. 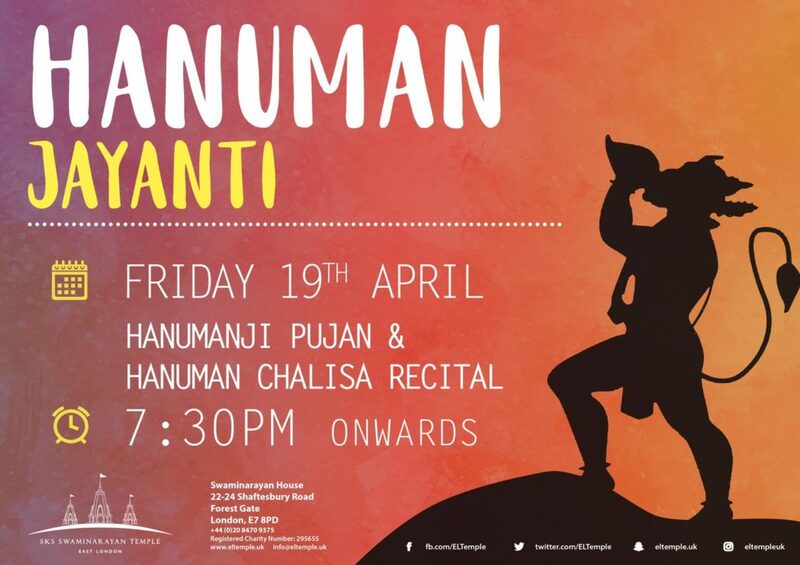 On Friday 19th April, we will be celebrating Hanuman Jayanti. Hanumanji has never failed to protect Bhagwan. Whether it is during the time of Ram, Shyam or Ghanshyam. Let us celebrate this day with a reminder that he is always looking out for us. May our faith always be greater than our fears. Come join us from 7:30pm onwards.